CAAM’s catalog of films includes more than 250 titles, constituting the country’s largest collection of Asian American films and videos for educational distribution. 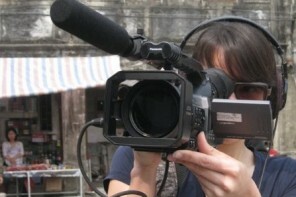 Our award-winning documentaries, personal stories, dramas and experimental works reflect the rich history and diversity of Asian people in the U.S. and global diaspora.CAAM’s support – financial, production, distribution, networking, and professional development – empowers filmmakers to achieve their full potential, removing barriers to participation and providing essential support to acquire or retain means of production and distribution. The result is more filmmakers dedicated to expressing the rich diversity of the Asian American experience able to build and sustain careers. Our films for educators allows the conversation to continue in classrooms across the country. Use discount code “backtoschool” to receive 25% off any film for educators, now through the end of September. Please contact Tabitha Owyang with any questions: distribution[at]caamedia.org. We’ve compiled a list of films that tell stories about the experiences of immigrants and refugees in the United States. 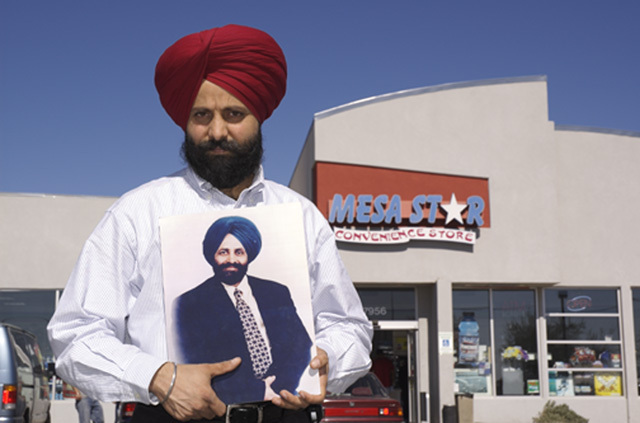 Four days after the 9/11 attacks, Balbir Singh Sodhi was gunned down at his Phoenix area gas station by a man named Frank Roque. To Roque, Balbir Sodhi’s beard and turban—articles of his Sikh faith—symbolized the face of America’s new enemy. Seeking retaliation for 9/11, Roque killed Sodhi and went on to shoot at a Lebanese American man and fire multiple rounds of ammunition outside an Afghan American family’s home. A DREAM IN DOUBT follows Rana Singh Sodhi, Balbir’s brother, as he attempts to fight the hate threatening his family and community. The Sodhis had fled ethnic violence in India to pursue their version of the American dream. 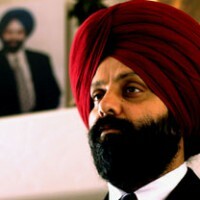 But less than a year after Balbir’s murder, Sukhpal Sodhi, Rana’s next-eldest brother, is killed in mysterious circumstances while driving a cab in San Francisco. Nine months later, Rana’s friend Avtar Chiera is shot by three men who yell, “Go back to where you came from!” Three weeks after Avtar’s shooting, another friend, Inderjit Singh, is physically assaulted and threatened with death while working at a convenience store. These incidents receive little to no coverage in the U.S. media, and a national dialogue concerning post-9/11 hate crimes and ethnic profiling is sorely missing. Wanting justice for his brothers’ murders, Rana is motivated towards social action. He demands that America live up to its ideals of equality. 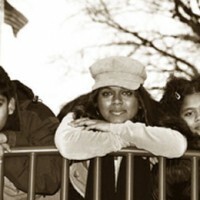 A DREAM IN DOUBT explores the complexities of race, religion, immigration, and the American Dream. In the end, the film demonstrates that hope and courage have the power to overcome hate. After escaping the Khmer Rouge in Cambodia, the Ny family became one of thousands of refugees faced with resettlement in the U.S. Their lives unfold through the lens of this stirring video diary. As 18-year-old Sokly Ny (Don Bonus) struggles to graduate from high school, his family is harassed in the housing projects, his eldest brother cannot fill a dead father’s shoes and his youngest brother ends up in a youth prison. Sokly shares these experiences, his personal feelings and his hopes as the year progresses. Ultimately, A.K.A DON BONUS becomes a story of triumph and survival from the perspective of one of America’s newest arrivals. 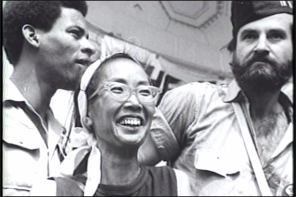 The first program of ANCESTORS IN THE AMERICAS travels across oceans and centuries of time to trace the globally interlocking story of East and West – from a village in Guangdong Province and Spanish military barracks in Manila to a Chinese cemetery in Havana and the Peabody Museum in Salem, Massachusetts. COOLIES, SAILORS AND SETTLERS explores how and why people from the Philippines, China and India first arrived on the shores of North and South America, and it portrays their survival amid harsh conditions, their re-migrations, and finally their permanent settlement in the New World. The second part of the ANCESTORS IN THE AMERICAS series unfolds with the arrival of Chinese on the West Coast during the Gold Rush, not as coolies laboring in the bleak outposts of the New World’s plantations and mines, but as free men embarking for “Gold Mountain.” Pushed by hard times at home, they arrived full of hope for wealth and for an auspicious return to their homeland. Laboring, reclaiming land, and community-building, while pursuing cases before the US courts for justice and equality, they set legal precedents and left a legacy of civil rights for all Americans. Island of Secret Memories is a short, powerful drama on the experience of early Chinese immigrants from 1910 – 1940, who were detained at San Francisco Bay’s Angel Island Immigration Station, the Ellis Island of the West Coast. The story is told through the eyes of young children on a tour of the now restored facility located in Angel Island State Park. Joe, a Chinese American schoolboy, comes face to face with the spirit of his beloved, deceased grandfather, who was once detained for questioning in the barracks of the immigration station. 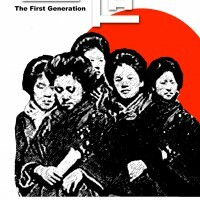 “Lost” 1984 documentary, rediscovered and restored, about Japanese men and women who, at the turn of the century, immigrated to the West Coast of the United States. These pioneers tell their own stories of struggles and triumphs in a new land. ROOTS IN THE SAND is a multi-generational portrait of the nearly to 5,000 Punjabi men who settled in Southern California’s Imperial Valley, just north of the Mexican border, a century ago. Seeking to earn enough money to return to their homes in India, they instead encountered not just abysmal wages and working conditions, but also anti-miscegenation and anti-immigration laws that prevented Punjabi women from joining them in the U.S. 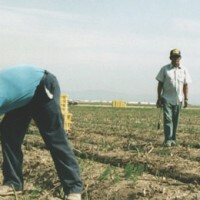 The award-winning documentary details how these pioneers pooled their resources, leased land and grew their own crops even as they married Mexican women and started new families. 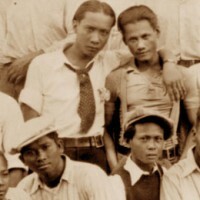 Through found footage, archival and family photographs, and personal and public documents, filmmaker Jayasri Hart tells the touching and inspirational story of a community that grew out of a struggle for economic survival in the face of hardship and prejudice. 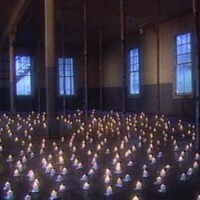 April 29 marks the 15th anniversary of a tragic day in American history. Violence, arson and looting erupted in South Central Los Angeles, sparked by the acquittal of the four policemen who had beaten an African American, Rodney King. During the tragic days of the riot in 1992, Korean Americans suffered about half of the $850 million in property damage, not to mention the emotional and psychological pain. In the days and weeks that followed, media coverage of the upheaval was extensive but rarely presented a fair and in-depth portrayal of the victims. They made the Black/Korean conflict the cause of the crisis, not a symptom. Sa-I-Gu, literally April 29, presents this Los Angeles crisis from the perspectives of Korean women shopkeepers and offers an alternative to mainstream media’s inability or refusal to present the voices of victims in human terms but make them issues and numbers. Sa-I-Gu provides a perspective that is essential to discussions on the Los Angeles unrest that brought numerous social issues to the forefront — racism, class divisions, crime, violence, poverty, the urban underclass and political, economic and cultural empowerment. Like many young Cambodian Americans who arrived in the U.S. as refugees in the ’80s, Loeun Lun, Many Uch and Kim Ho Ma hoped for the best. Little did they know that their destinies, guided by youthful mistakes and the unforeseeable events of 9/11, would bring them full-circle decades later: from birth in Cambodia to an unwilling return. 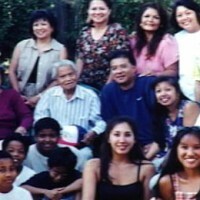 After fleeing the Khmer Rouge and settling in Seattle, each was drawn into gang life, and ultimately jail. According to U.S. immigration law they should have been deported, but Cambodia did not accept deportees at the time of their sentences. However, after September 2001, the U.S. pressured Cambodia into changing its policy. As a result, thousands of individuals were separated from their families and returned to a land that many barely knew. Moreover, Loeun, Many, Kim Ho and many others faced the prospect of paying a double penalty: having already served their original prison sentences and moved on with their lives, they now faced deportation. 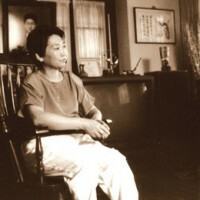 At the opening of the film, Loeun is married with two young children and has a full-time job. Many seeks redemption for his past by coaching a Little League team in Seattle, while Kim Ho is just days away from being deported. Traveling from the U.S. to Cambodia, directors David Grabias and Nicole Newnham bring to light their heart-breaking stories, and reveal the human cost of an inhumane immigration policy. An insightful study of Filipino American family dynamics and psychologies, SILENT SACRIFICES delves into the cultural conflicts Filipino immigrants and their American-born children encounter on a daily basis. Frank discussions between teens, young adults and their parents reveal how issues of ethnic identity and opposing Filipino and American values contribute to youths’ bouts with depression, parenting difficulties and inter-generational misunderstandings. Intent on breaking the silence that allows dysfunctions to develop, the documentary and its accompanying educational guide offer an invaluable starting point for enhancing family communication within one of the country’s fastest growing demographics. Based on the memoirs of the filmmaker’s grandmother, TURBANS explores the inner struggles of an Asian Indian immigrant family torn between their cultural traditions and the desire for social acceptance in America. 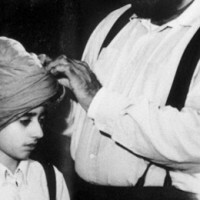 Although born in the United States, the Singh boys are attacked for being different. The turbans they wear, a tradition sacred to their Sikh ancestors, serve only to identify them as outsiders in the prejudiced landscape of Astoria, Oregon, circa 1918. A chronicle of the first Japanese to settle in California’s Central Valley and their impact on the state’s leading industry. 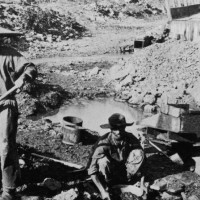 The establishment of the Wakamatsu Colony in Gold Country near Coloma in 1869, by refugees fleeing civil war in the Aizu-Wakamatsu area of Japan, begins a story strongly linked to California’s rise as an agricultural force. 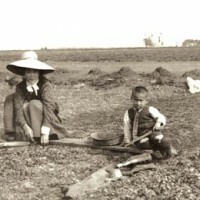 Also explored are the development of the Yamato Colony during the early 1900s in Merced County, the formation of families and attempts to limit immigration, citizenship and ownership of property for Japanese new to California. The growth of Nihonmachis (Japanese communities) in most of the valley’s towns and cities, from Marysville to Fresno, is one of many rare historical details included in this program.